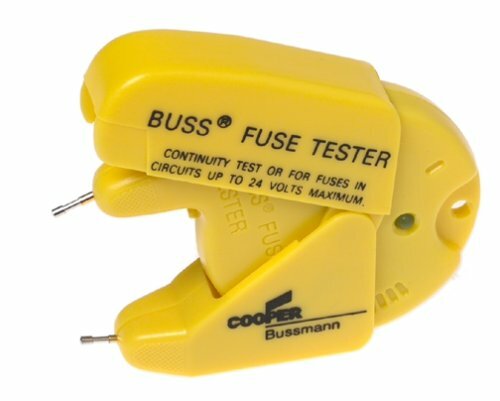 Tubular Fuse Tester, 24V Maximum, Test Automotive, Glass Tube, & Ferrule Fuses Up To 1-7/8" Length, Batteries Are Included & Replaceable, Sliding Probe To Appropriate Fuse Length, Not For Use For Electrical Fuses In The Fuse Panel, Dimensions: 5.50"L x 2.75"W x 0.88"H, Carded. If you have any questions about this product by Bussman, contact us by completing and submitting the form below. If you are looking for a specif part number, please include it with your message.